Queen Elizabeth II and her son, Prince Charles, will both attend the Commonwealth Heads of Government Meeting in Uganda this year, Buckingham Palace announced in London Thursday. It will be the first time for Prince Charles, 58, to attend a meeting of leaders of Commonwealth countries which takes place every two years, Clarence House said. Royal watchers said it was extremely rare for both the monarch and the heir to the throne to be in the same overseas country at the same time on official duties. 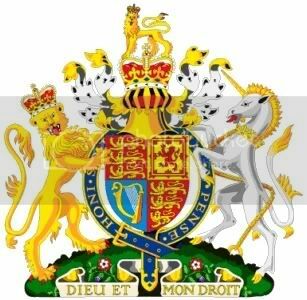 Prince Charles would be accompanied by his wife, the Duchess of Cornwall, during the visit to Kampala in November. "The prince was asked to go by the president of Uganda and he is very pleased to go," said a spokeswoman. More pictures of the Royals, Easter Sunday Service, St George's Chapel, Windsor Castle, Berkshire, Britain - 08 Apr 2007. It's great to see the family out about again.It is strange seeing that the Countess chose to go with the colour of black and white theme this time, i don't mind with her hat at all, she looked fine. 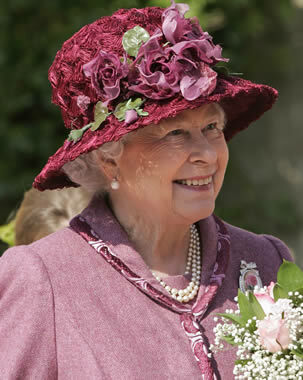 The Queen looked great again with this lovely purple outfit and opted with a new flowery hat. 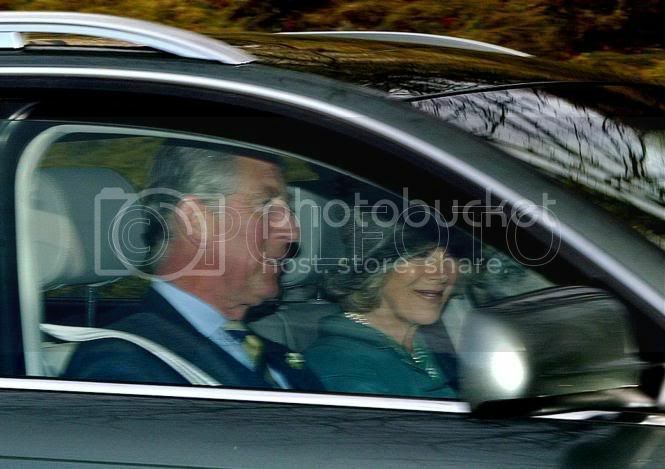 The Prince of Wales and The Duchess of Cornwall sttended the Easter Service at Crathie Kirk, Balmoral, Scotland. This is Camilla's first public appearance after the operation. (credit: Hornsen, originally posted in Charles and Camilla Current Events thread). Lovely pics everyone. Nice to see Camilla back out. Glad she's doing well. Wonder why Charles looks so red in the photo? From time to time, his face looks red, something totally normal..
Is this to do with protocol, or just because the two ladies enjoy each others company? Loved the Queen's hat and how the Duke's tie compliments the Queen's outfit. I think the Queen genuinely enjoys the company of Sophie and it seems as if it has now become a regular thing that Sophie accompanies the Queen in the car. It happened at Xmas as well. I think the Queen genuinely enjoys the company of Sophie and it seems as if it has now become a regular thing that Sophie accompanies the Queen in the car. It happened at Xmas as well. It's been this way for a few years now; Sophie and HM in the back seat of the car: the right royal seal of approval. Onlookers at Windsor Castle were treated to an extra stylish Easter parade on Sunday as the Royal family's leading ladies tipped their hats to spring. 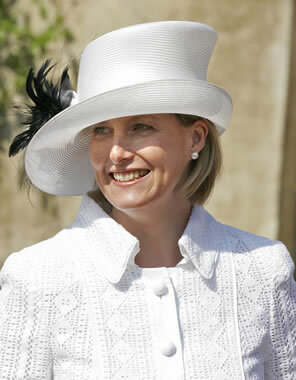 Sophie, Countess of Wessex, led the way with a slant-brimmed white straw creation bearing a flourish of black feathers as she joined more than 400 people for an Easter service in St George's Chapel. 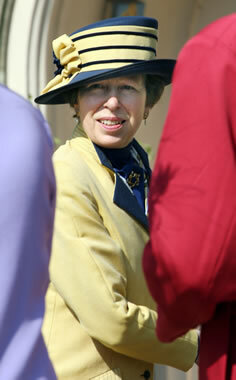 Also displaying her sartorial savvy was Princess Anne, who opted for a nautical-style lemon and navy stripe affair. But there was no doubt as to who had the best bonnet of all. sophie look great and very happy! the princesses princess and beatrice go to the church? Neither Princess Beatrice or Eugenie, nor the Wales family were present there. Eugenie & Beatrice don't go unless their father is there. Prince Andrew is in Guyana right now on a private visit, but he may be in Brazil by now. i loved that outfit sophie had on. i might be wrong but if you have a young child in the family the mother is suppose to ride with the queen? I think that Sophie is a favorite of the Queen's (and Lady Louise's age has no bearing on that). The Queen really seemed to bond with Sophie after Sophie's ectopic pregnancy. And, from what I have read, the Queen might sense that in Sophie she finally has a reliable daughter-in-law. I know that Charles and Camilla went to church in Scotland and that Harry was in the Carribean but does anyone know if William was on duty or whether he attended church with his regiment? I assume that the other royals went to church somewhere but just not at a public service type situation. As Andrew was in Guayana (sp) I assume that the girls were with their Mum. I wonder if they went to church somewhere with her?